The body may forget things but the soul doesn’t forget its journey. All actions come from the breath of life, and we all breathe the same breath of life. So, we are extremely united if we understand the expression: We are strung like beads on one breath of life which is everywhere. And that is how Universal we are. 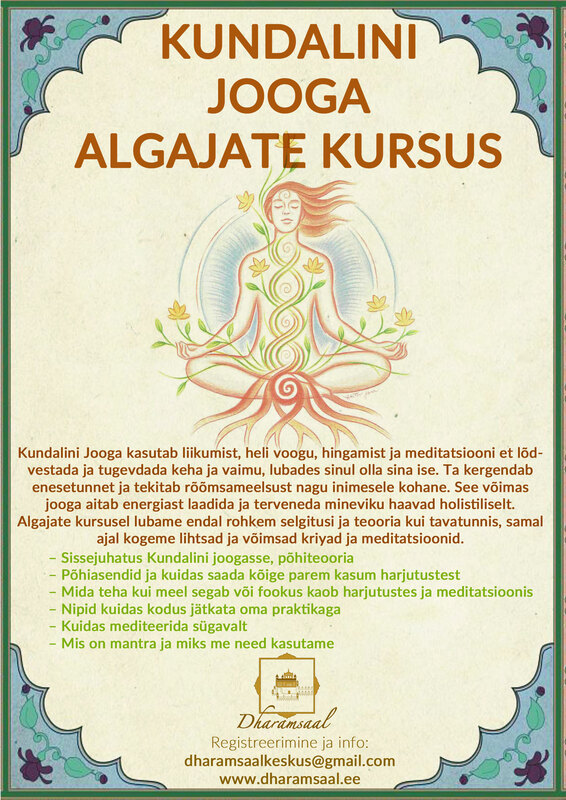 • Luua uut algust ja suuta edaspidi oma väljakutsetel otsustada labi neutraalset meelt ja intuitsiooni kasutades joogalike tööriistu. Võta kaasa mugavad riided ja märkmiku!